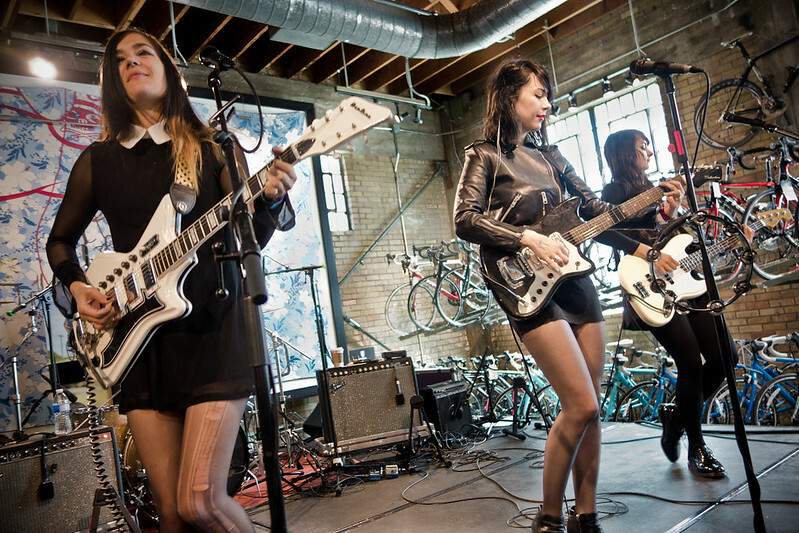 Dum Dum Girls performs at Mellow Johnny's Bike Shop. Being a rider, I was excited to see a show finally at Mellow Johnny's Bike shop and to make things even more exciting I was there to watch Dum Dum Girls perform. The day before, I just missed them at the Spotify House, stuck outside in line for an hour. But this early morning, I wasn't taking any chances. I got there early, enjoyed a nice cup of coffee and did a light shopping, trying on t-shirts and cool new bicycle helmets. There's no doubt that The Dum Dum Girls, at this year's SXSW, was the hardest working band at this year's festival, playing at times 4 to 5 shows a day - that's almost 20 shows in less than a week. I happened to catch them twice during the festival and each time they've more than exceeded my expectations. At the Palm Door on 6th St., I enjoyed local brewery’s Austin Beerwork's Peacemaker Extra Pale Ale, a golden, lightly bitterness to the taste while waiting for the next act of the day. The Palm Door, with an expansive inside staging area, has a nice patio bar where another stage was set up. It was perfect to catch some afternoon sun and drink cool beers. SXSW is known for featuring acts on the verge of breaking out. This year was no exception with Swedish beauty Tove Lo making her first foray at SXSW. 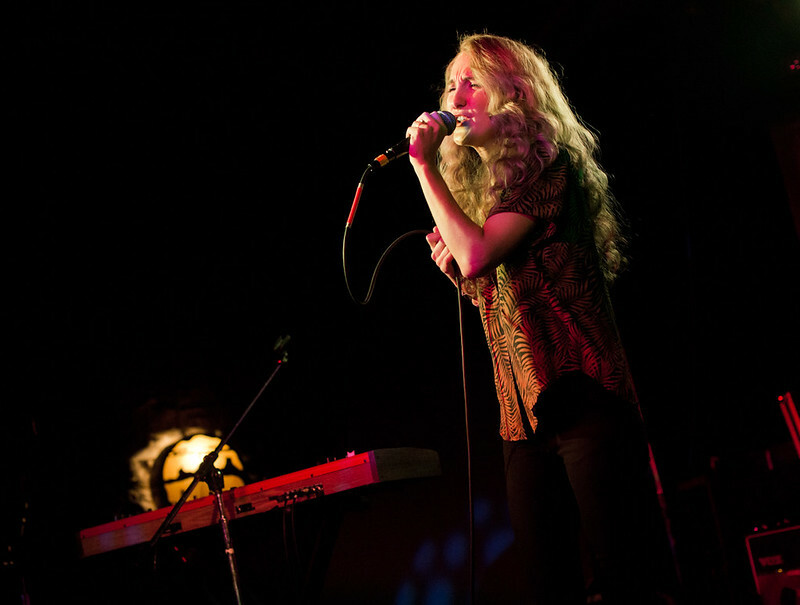 Today, she was performing on the inside stage at Palm Door. Earlier this month she released her debut EP Truth Serum and has since been riding high on her syth-pop, dance, hit single "Habits" and "Not On Drugs." Give it to the Swiss to write the soundtrack to our weekend. Tove Lo is yet another, in a string of recent Scandinavian acts, to bless this world with super catchy, anthem-esque choruses to dance and sing our hearts out to. 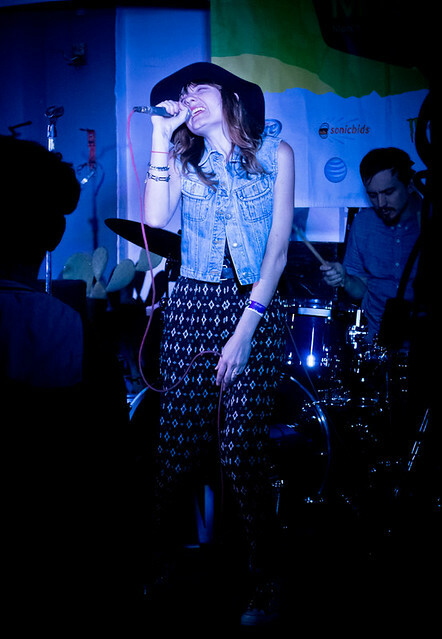 Tove Lo performs at The Palm Door at SXSW. The houses on Rainey St. are always a blast to go to. Feeling more like house parties stretched along a suburban street, with backyards turned into makeshift outdoor stages. Freebie drinks and a relaxed scene make for a Greek Row atmosphere as a good stream of people walk the streets trying to figure out which house has the better party and music. 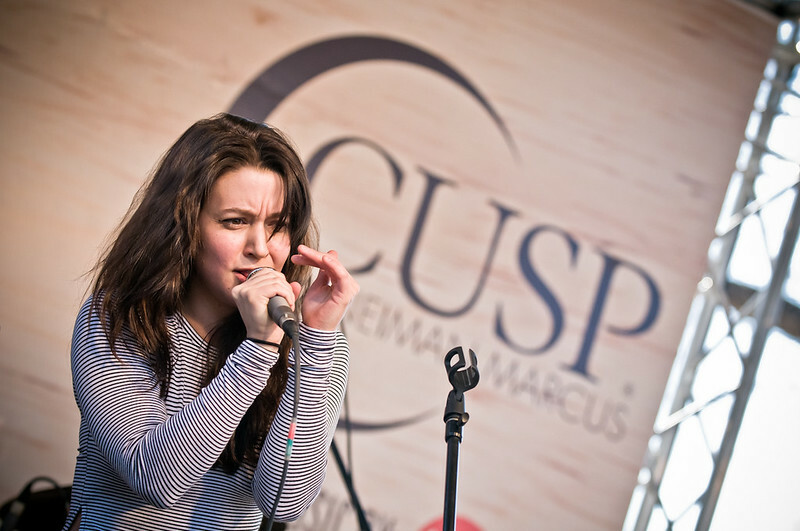 Meg Myers performs at The Cusp on Rainey St. Watching Meg Myers’ day performance felt out of place at The Cusp on Rainey St, a small house with a converted backyard turned staging/bar venue. Her passionate turned to raging songs are too furious for this mid-afternoon crowd sipping mimosas and fruity drinks. Meg’s performance is best watched under stage lights that set the mood for her songs of lust, heartbreak and love. But still, after her performance, I heard a lot of people actually voicing their high praise for Meg. Afterwards, I had a long walk back into downtown to The Swan Dive where I would find Nina Nesbitt performing inside. Already a success in Scotland, Nina is set to release her new EP on April 1st and has her sights on making a name for herself in America. As I mentioned, she’s already found success across the pond after the release of her hit single “Stay Out.” And based off that success and numerous critically acclaimed EP’s, Nina has amassed over 144,000 Twitter followers, 213,000 Facebook likes and nearly four million views on her YouTube channel. Now imagine how big those numbers will get once American audience discover her music. That’s just a drop in the ocean compared to what she’ll get once American audiences discover her music. Now, luckily I didn’t have to travel far to watch my next band Little Daylight since they were playing in the patio just towards the back of The Swan Dive. From, Brooklyn, Little Daylight basks in sunny synth-pop melodies. To get a feel of what their music sounds and feels like all you have to read is the titles of their songs – “Glitter and Gold” and “Name In Lights” as well as their actual band name Little Daylight. Their songs shine and sparkles like lights bouncing off sequins jumpsuits that are layered with the free-floating and windswept vocals from lead singer Nikki Taylor. Canadian alt-rockers Alvvays had one of my favorite songs named “Adult Diversion” and “Archie, Marry Me.” It’s the reverb-flooding melodies that make you feel like you’re sunbathing in their warmth of alt-punk guitars and slacker-esque harmonies. And there’s something about lead singer’s Molly Rankin’s bouncy vocals that hypnotized the crowd at The Main on 6th St. into swaying back and forth to their music. 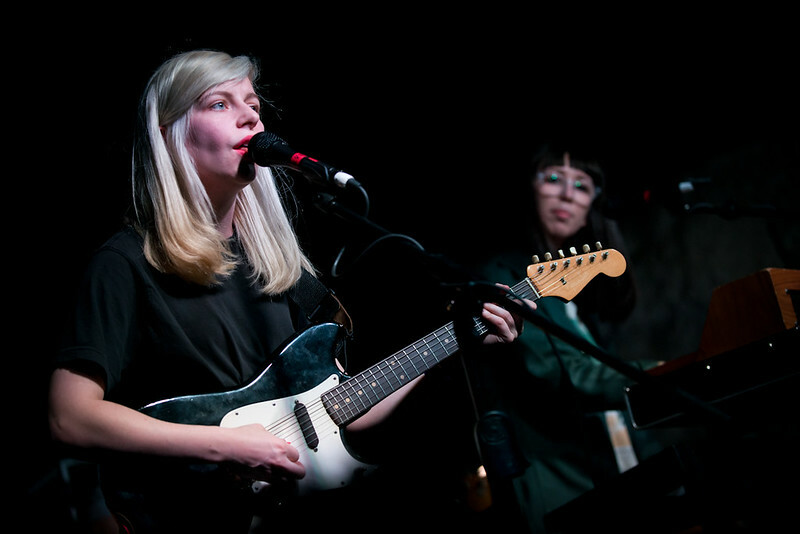 The Main hosted Canadian rockers Alvvays during SXSW. Tennis played to a packed crowd at Buffalo Billiards. The trio consisting of Alaina Moore, Patrick Riley and James Barone and are from Denver and it was their song “Marathon” that made me want to catch this band. It echoes early 50s, girl-group, doo-wop with bee-hive hairstyles while “It All Feels the Same” an “Origins” paints scenes of cruising down California’s scenic Pacific Coast Highway with the top down and the cool wind blowing through your hair. 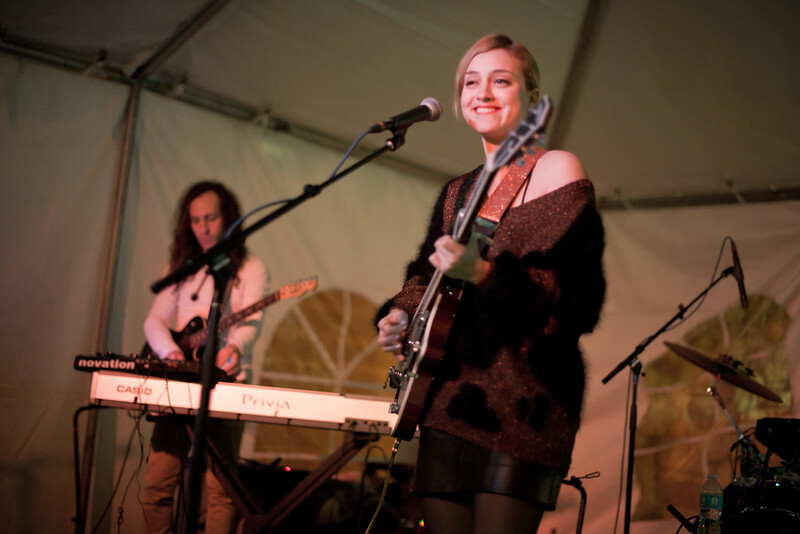 TENNIS packed the crowd into Buffalo Billiards during their SXSW performance. At this point it was 1 am and to close out day three I had the pleasure of watching Spain’s Russian Red at The Palm Door patio. She recently released her third studio album Agent Cooper. Russian Red (aka: Lourdes Hernandez) has been streaming on my Spotify playlist weeds before and continues to stream weeks after SXSW. Unfortunately, this night, her set began with equipment problems that made her start about 20 minutes later which forced her to finish her show a tad bit early. And who knows what other gems she didn’t get to sing. Russian Red performs at The Palm Door during SXSW. Although from Spain, Hernandez sings a majority of her songs in English because, as she says, she grew up listening to English music yet, at first listen, her songs sound exotic like a storybook fairytale are tragic and sad. While her soothing and warm vocals bleed heartbreak, her songs are multi-layered glimmering synths and percussions that barely rise above a whisper which only highlights Hernandez’ moving vocals.